Knowing your passion is easy in comparison to learning how to make money doing it full-time. Luckily, there are an incredible amount of ways you can monetize your passion. If you really want it bad enough, you’ll figure out a way. Pretty much everything is possible in this day and age. What if you can’t make money doing what you love? Should that stop you from doing it? What if a shift happens in the marketplace in two years from now and suddenly you can make a living selling, writing, creating or talking about your favorite weird stuff? With all that said, here’s a simple list I compiled just to show you a few examples of how you can make money following your passion both online and offline. If you’re passionate about swimming, write about it daily and provide massive value to your readers, you will gain a following and you will be able to monetize your website. Most people do not even consider the possibility of calling companies directly and telling them your website rocks and they need to buy some advertising. How do you find potential advertisers? Here are a few examples that should get your wheels turning. Get creative with this, try new stuff and be amazed at the results. 1. Google is an excellent way to find potential advertisers. Type in your search term, look at the sponsored ads that pop up, go to their website and call them up. These are companies already spending money on clicks! Here’s an example of Gary Vaynerchuk doing this in real time. 2. Other websites are good to look at for tips on who’s advertising where. Check out some big websites on swimming and look at who their advertisers are. Click through to the companies in question and call them up. 3. Yellow pages or other places where you can find offline businesses that are related to swimming. Magazines, sports stores or even events about swimming would most likely be interested in your website. 4. Put up an advertising page on your website that tells potential advertisers that you’re selling advertisers. Tell them where, when and how to get in touch with you for more details. The easier you make it for them, the more chance you will have of landing a good deal. Advertising networks are very popular and easy to use, but they are often not the best way to monetize. However, this does not mean that you should avoid them, because you never know. The way contextual advertising works is you join, get a simple code, put it on your website and ads will start showing. Being an affiliate means you get a share of every sale you make. If you’re promoting swimming wear on your website and one of your readers buys through your link, you can make a percentage of that sale. Different affiliate networks have different percentages. It usually depends on the profit margin that the company itself has. For example, digital goods such as ebooks usually give upwards of 50-75% share if you’re an affiliate. Physical products like supplements, books and sports gear pays a lot less, the amount is usually somewhere between 5-30%. With all that said, there are many ways to monetize your website and being an affiliate is definitely a very good option that many live by (including yours truly). Another cool tip is that you can often find individual companies that have affiliate programs and are not a member of any affiliate networks, so it pays to do your research and look around. Monetizing your site by selling links is not something Google likes. It might get your site penalized and even removed from their search entirely, so selling text link ads can be risky. However, by putting a no-follow tag on the links you sell, you’re okay says Google. You can write reviews and get paid for it. There are networks where you can register, put up your site and let advertisers get in touch with you if they are interested. This can be controversial and is not liked by many because you’re “selling out”, but I have no problems with it as long as you tell your readers what you’re doing. Bloggers and website owners that do write a lot of paid reviews and have large audiences do make some good money from it. You can also do this without the paid review networks and have a page on your blog announcing that you do paid reviews, nicely cutting out the middleman. Believe it or not, people do make money by putting up a donation button on their blogs. I personally have no experience with this, but I do know a few bloggers who are making a decent income from donations. A donation button can easily be implemented through PayPal where visitors can pay safely with their credit cards or PayPal account. The strategy is to simply put it up after your blog posts or website articles and ask for a donation if they like the content, or even tell people to buy you a beer as thank you for the content. You probably shouldn’t expect huge amounts of money to come your way, but it can be a good way to boost your income, especially if you’re providing excellent value to your audience. If you’re giving a lot of stuff away for free, you might want to check out the next option to monetize. 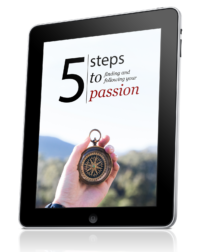 Creating your own ebooks, audio programs or even DVDs is an excellent way to monetize your passion. The drawbacks are that you have to have an audience that is willing to buy from you, or better yet, an e-mail list that likes you. That shouldn’t be a problem if you’re passionate about what you’re doing. You’ll naturally learn new things and there are always people one step behind you that will pay for high-quality, step-by-step instructions on how to progress. You can also borrow other people’s authority. For example, you can interview experts in your industry and create products out of that, or just sell the interviews. This has been done many times. A good example is the Rawkathon, where Kevin Gianni interviewed 14 raw food experts and sold the whole package. I watched all the interviews myself and they were awesome. There are many ways to go about creating your own products and it is still one of the best ways to monetize your passion. As you gain more and more authority and popularity, you can begin to organize workshops. How soon you can do this will depend on your niche, your audience and your creativity. There are many niches where a hands on approach is best and getting together in real life provides substantially more value. You could start this early on by holding very small workshops of 5-10 people and charging small amounts, or even doing them for free, as experiments. When you get excellent testimonials from the participants and learn more about how you can improve, you can raise the price and let more people in. The possibilities are endless! If you’re awesome at something but do not have an audience, you could partner with someone who does. If you’re a dog trainer that can solve a pressing need that dog owners have, there’s a big chance you can work together with someone to produce a product and sell it. This requires some business sense, because you do not want to get into any business trouble, who does?. Make a deal beforehand and put it all down in writing so everything is clear and you’ve decided on who will do what. A very common split is 50/50. If someone else has the audience and you have the knowledge, it is only fair, right? However, do not be limited by this. Negotiate and see what you can come up with. Freelancing is an excellent way to make a living. If you love writing, designing websites, programming or anything that can be outsourced, then you probably don’t mind doing it for other people. By throwing up a freelance service, you can be in business practically overnight. Don’t get me wrong though, it takes work to get your rates up and you may have to work for low pay in the beginning, but if you love it, you’ll make it work in the long-run. There are many ways to get noticed as a freelancer. For example, you can start your own blog, start writing about writing or whatever you love. You then put up a page on your website that says “Hire Me” and promote yourself on your blog now and then. If your work is good then you’ll get paid. There are plenty of low-quality freelancers out there making money, so there’s plenty of room for high-quality. Article marketing is one of my favorites, since I use it myself quite a bit. It is very simple to get started, but you do need to have your own website, hosting, a domain name and some technical skills (not much though). There are many ways to go about article marketing, but the way I use it is to get direct traffic to my websites. I submit articles to Ezinearticles on the niche I am targeting. In return I get targeted visitors (and some links) to my website. These visitors can be monetized in many different ways. I have mentioned many of them above, such as selling your own products, putting up a small content website with google ads or selling affiliate products. Teaching online is becoming increasingly popular. It is a convenient and affordable way to learn online. If you’re passionate about teaching math, science, english, biology, physics or any other school subject, you might want to look into teaching. Could you provide a service for people that would improve their lives or their business? If so, you may want to look at consulting. A consultant offers advice, solves problems and makes recommendations based on their experience. There are an endless amount of areas that you can consult in. A few examples of consulting areas are: gardening, green living, organization, office design, internet marketing, image and style and home security. There are many areas, so start researching and looking into it. There are always risks with becoming a consultant. You work your own hours and pick your own clients. But you also have to hustle to find clients and take care of other business tasks. It’s well worth it in my opinion. 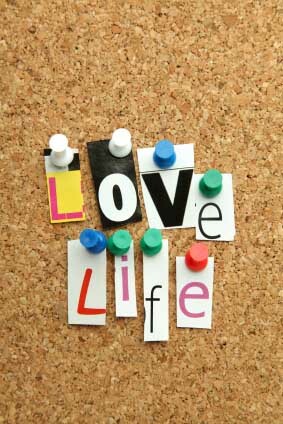 If it makes you love life, then do it. Writing for Hubpages, Squidoo or eHow is all about putting out a lot of articles, putting up your adsense ads or other monetization methods. These platforms allow you to publish content on their website and put up your own ads. They get more content and you make money, it’s a win-win situation. I do not recommend going this route because there are a lot better ways out there to create an income. Still, many are making a living doing just this, so if it resonates with you, check it out. The reason I don’t like them is because you’re creating content for others and all the control is in their hands. Article marketing is partly the same, but your monetization happens on your website, so there are some differences. Do you love taking photos? You can sell your photos online in various ways. Not having to hire a professional photographer is a huge plus for many people, especially website owners who often need a quick, high-quality image to go with their articles. The failure rate is high, but that shouldn’t scare you off, because the failure rate is always high in anything that has a low cost of entry. If it’s easy to do, then people will start and give up as soon as it doesn’t work. If you love taking photographs I suggest you look at selling stock photos as one of many ways to make a living. Find work that you love. They may be hard to come by, but they still do exist. Using social media to get connected is a powerful way to find a position in a company that does something that you stand for and are passionate about. The only problem is that you may find work that you love, but the times you work aren’t flexible and you might not like your boss or coworkers. There are a lot of dominoes that have to fall in place for you to really love it. With that said, you never know, because often the universe just gives you what you want. If you truly believe that working 9-5 is a good fit, then kudos. But I advise you to have an open mind, because unexpected things can happen and opportunities that you never even thought about can come along. If nothing else works, you can always get creative (or crazy… or both). There are a lot of different people that have created ways to make money doing what they love. Why not you? Don’t expect it to happen overnight though. If you really love what you do then keep doing it every chance you get. Get your face out there. Connect, write, talk, scream and throw stuff. That’s how you crush it. Thanks for the list. I got couple of good ideas reading it. I don’t like to put up ads on my company blog so I could benefit from squidoo or ehow. Next up writing articles and workshops. You’re welcome, Sampsa! I don’t like ads either. There are so many ways to monetize nowadays. The stuff I’ve listed here is just the beginning! That’s a huge list for making money online. Seems like you extracted money making ideas from the web and posted an ezine about it. And from the list above my favorite is paid posting, for getting some quick money. This is a really great and informational post. Thank you for making this. I am a freelance writer of 2 years but still find myself wondering, at times, how I can make my own personal projects and make them work for me. Your post has really helped me put things in perspective and come up with a concrete plan on how I to go about my unfinished sites that I didn’t know how to monetize. You’re a great help. It’s surprisingly easy, when U just do what nobody normally does – – > stop and think < – – and think together with your spouse for example. When you just calm down, feel great, know what you want and are willing to ask.. the answers come so fast it's ridiculous. The higher I aim, the easier it is to accomplish. The higher I aim, the more I Really Want it, and the rest is automatic. My aim was fast financial freedom with zero work, zero overhead, zero lameness. So of course that soon led to all sorts of innovation. Innovation starts when settling for less stops. Innovation starts when I demand to get all I want but refuse to do any work whatsoever to get there. Innovation starts when I decide to change the world but only have fun and not work at all. And yes, speaking from experience. And so are already a few of my friends. It all comes down to How ridiculously Big You Think, that’s really all there is to it. Ridiculously big thinking -> Ridiculously Passionate Inspiration -> the rest just happens. Love the info and have tried alot of your ideas. Just getting started with trying to make money with my blog.